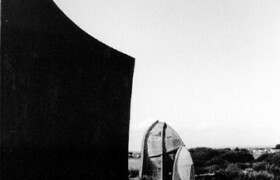 These large, looming discs, which locals fondly call “concrete ears” but which are perhaps better known as sound mirrors, sit facing out to sea at Greatstone, Kent. In a perilous condition, following years of gravel extraction which has led to them lilting further towards collapse into a yawning watery grave before them, at last they have been saved. Repair work is due to be finished this month. English Heritage has become the knight in shining armour, ensuring a fairytale ending by contributing a whopping £500,000 to the rescue kitty. A new fund, the Aggregates Levy Sustainability Fund (ALSF) is currently being piloted by English Heritage. It’s a tax on the extraction of aggregates which is used to bring about environmental benefits that mitigate the damage such extraction can cause. The ALSF is intended to reduce this damage by improving areas where extraction has taken place, as in this case, as well as helping to reduce demand for aggregates through the promotion of recycling and re-use and research into new methods of extraction. Add to this £125,000 from Kent County Council and Shepway District Council, from the Inter-Reg Fund, and it’s a sizeable sum. It’s a timely and lucky lifeline for these monuments. Without the new fund, the urgent work to underpin the mirrors would probably never have happened. 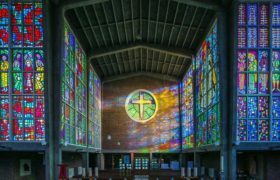 Competing for cash is hard, and as Peter Kendall, the English Heritage inspector working on the case confirmed, “We couldn’t have found the funding. In the order of national priorities, the mirrors aren’t high enough up the agenda. Two of the three structures would not have survived more than a few years – the degree of risk was very real”. 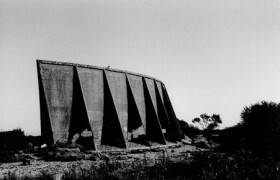 Built between 1927-30, the sound mirrors were part of Britain’s national defence strategy. They were designed to pick up the sound of approaching enemy aircraft; sound waves were caught in the belly of the mirror and relayed back through microphones and a stethoscope to an operator who raised the alarm. 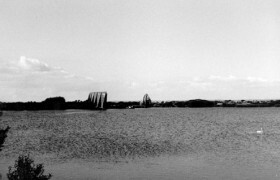 Anti-aircraft defences were then deployed; the mirrors effectively gave Britain a fifteen-minute warning of an impending attack. 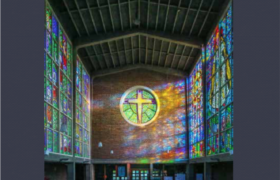 The mirrors at Greatstone form a unique collection. Acoustic experiments had begun in 1914 and by 1927 their design was as advanced as it would get – the success of radar meant that in 1939 the mirrors finally received the chop. The three show a clear progression of design; and yes, it’s that old chestnut – size really does matter. Bigger was deemed to be better. The first to be built was the 20 foot baby of the group – a vertical saucer. Rather than re-position the first, they chose to build a second, the 30 foot new ‘bowl’ design, tilted to the sky. But dwarfing them both is the huge 200 foot long strip mirror – this is the only one in Britain and one of two in the world; the other is in Malta. Big planes with big noises meant creating large enough surfaces for them to bounce off – and these were big waves, measuring between 15 and 18 feet. But did they work? Amazingly, they did. The trouble was that as planes got bigger, better and faster, it was no longer possible to identify the enemy – it turned out they couldn’t tell the difference between a Zeppelin and a Spitfire. This, together with the massive advances in radar technology and increased noise pollution, rendered the mirrors obsolete. Taken out of service, it was suggested that they were used as sites to experiment with explosives. Luckily, the mirrors weren’t blown to smithereens but instead were forgotten for years. They were made scheduled monuments in 1979, an application made by an individual local, giving them statutory protection but it’s only recently that the mirrors are enjoying a renaissance, even recently appearing on the front of Turin Brakes’ latest album cover. Richard Scarf has done a great deal to put them back in the limelight, having completed two books on the subject. “I’m delighted that as last they’re getting on with it. There’s been talk for so many years about what they might do”. But they’ve always been top of the agenda locally, accompanied, naturally, by a few tall tales – one soul maintained he could hear trains leaving Paris, which soon might not be so far from the truth. 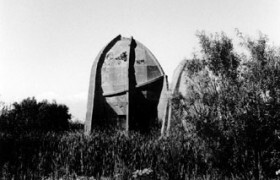 Artist Lise Autogena is building two new sound mirrors on either side of the Channel, one at Folkestone and the other at Sangate, Normandy. The plan is to be able to talk to each other across the waves. But, as Scarf reminds us “With all the new projects we must try and encourage interest in the history of the existing mirrors. That history is rotting away. But it’s gone home now.” At last we’re witnessing a turn around. It’s been a tough battle: “Twentieth century lumps of concrete have only recently been recognised, even amongst English Heritage”, said Kendall. Did nobody tell them concrete was cool? !